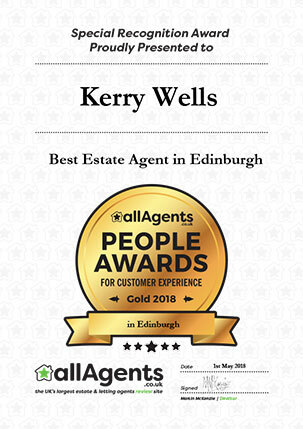 Review: I would like to thank Kerry Wells for the fantastic work she has done & her team for me on selling my late Aunts house. Review: Kerry is professional &amp; efficient in every aspect of her work. She takes the stress out a sometimes overwhelming time. The way the property was marketed I feel was second to none with a very quick sale. Review: Kerry and the rest of the Boyd team were excellent from start to finish. Everything was explained to us in detail, and they were flexible around our schedule. The quality of the advertisements and the photographs were very high. Boyd also offered us valuable advice to ensure the property was at its best for viewings. While I hope that I won&#039;t be moving house for a while, I would definitely use Boyd again in the future. I would recommend Boyd to anyone looking to sell their property. Review: This was not just a house sale, this was selling our parents home to enable payment of care fees. From the moment we met Kerry she understood this and was very empathetic towards the situation. We knew we needed expertise and a safe pair of hands and we got that and more with Kerry. Above all this though we needed empathy and warmth to an emotional situation and Kerry demonstrated that from the word go. Luisa too was always very thorough and on the ball with corresponding with us. This team would be hard to beat in property sales. We also experienced a seamless process with the legal aspect of the sale. All in all a highly professional, excellent service. Thank you. Review: Kerry and Elaine were so professional and supportive throughout the whole sales process. They kept everything simple and clear for me; as well as reassuring and answering my silly questions. The conclusion process took longer than anticipated but Elaine was fabulous at keeping me updated. Kerry was also like a life coach keeping me sane through the stages. Review: Kerry and her Team guided us through the selling of mum&#039;s property in a very friendly and professional manner All members of the Team were approachable and available to us with our numerous queries. Very much appreciated at this difficult time. Review: Kerry gave good advice to get the property sold in a very difficult market and Elaine has been great at getting the conveyancing done with a minimum of fuss. Review: An excellent service from Kerry, Louisa and Nigel. I would highly recommend Boyd Legal as the go to company for selling your property. Extremely efficient and professional. Review: Throughout the whole process of selling our flat, we received an excellent service from Kerry, Luisa and Elaine. 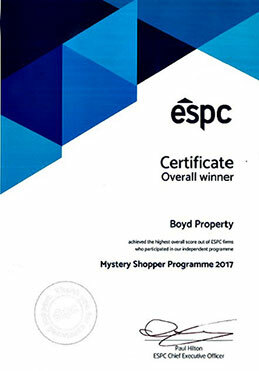 We chose to use Boyd Property having being given a recommendation through a friend. We got quotes from five different agents and although Boyd were not the cheapest option we were confident that Kerry would sell the flat quickly for the best possible price...and she did! Kerry was positive, pro-active and demonstrated an excellent knowledge of the market. Luisa and Kerry made sure that all viewings were followed up and took a genuine interest in getting the best result for us. She predicted that our property would sell within three weeks and it was 'under offer' after 14 days on the market. Luisa and Elaine made sure that all aspects of the admin and legal process went smoothly and made the whole process as stress-free as possible. We will definitely use Boyd again if we are buying or selling in the future and would have no hesitation in recommending them to anyone looking to sell in or around Edinburgh. Review: We cannot recommend Boyd highly enough. After the positive experience we had with Boyds 5 years ago to purchase our flat, we decided to use them again to sell our property and purchase our new one. They were professional from start to finish and are extremely knowledgeable. They made the whole experience less stressful and were fantastic with their communication. We dealt with Kerry and Nigel who were both excellent and really helpful. Thank you very much! Review: Form start to finish my sale went extremely smoothly. Kerry and Elaine were excellent and always on hand to answer any questions I had. The service I received from Boyd was brilliant and I can not recommend Kerry and Elaine highly enough. Review: Got things up and running quickly. Multiple viewers and a very fast sale. Friendly and knowledgeable. Thanks Kerry and God Bless. Review: Kerry was very fast at getting our property on the market, put together an exceptional schedule and then helped us get the property under offer in just under a week. She was very accessible by phone at all times which was over and above what was expected (she works very hard)! Elaine then took over to carry out the paperwork side and she has been fantastic with quick responses and guiding us through to completion. They've really made this as stress-free as possible! Review: Kerry was very good at communication, returning calls and emails and keeping us up to date with progress on the sale. Review: Our experience with Boyd's was first class in every aspect. From the initial marketing of our property to the close of our purchase, Kerry kept us informed throughout and offered valuable advice in relation to our house sale & purchase. Her patience and kind manner made this process so much easier than expected. Kerry, Paula & Leeanna were an absolute dream to work with - thank you for all you help! Review: Very friendly and efficient service. As first time buyers we appreciated all their help with the house purchase process to ensure a smooth transaction. Review: I would highly recommend Boyd Property, Kerry & Luisa were enthusiastic about our sale and made the whole process easy and straightforward. We were kept up to date with all aspects of sale and were delighted with how quick the property sold. Paula was also really helpful with my many questions. Review: I was very satisfied with the sale of my flat. After the first buyer pulling out I was rather upset, however only three days later a potential buyer contacted Kerry and put in an offer right away,this was because Kerry recommended a viewing. This was a huge relief, and I was very happy with the outcome. When it came to the legal side of things the buyers solicitor was making it very difficult for the solicitor at Boyd Legal to get things settled, however she pressed on and got the job done,for which I am most grateful.Overall the service provided was very good,and I would like to take this opportunity to thank all the staff for their friendly and helpful attitude. Review: Kerry was very helpful and attentive in setting up the sale of our property and also purchasing our new property. She was very efficient in discussions with other selling parties as well as knowledgeable about local market and values. Kerry was always contactable and returned calls/emails quickly. After the sale and purchase Elaine was instrumental in ensuring that everything went through smoothly and settled in time. Her advice and help following the sale was also second to none and she was always contactable. Review: Everything was great and very professional, even we have some issues duro g the process due to some external delays from our buyer. All the process was managed brilliantly from Kerry, Elaine and the rest of the boyd Legal team from the valuation to the final settlement making what could have been a very stressful situation pretty comfortable. They were very approachable at all times and did not hesitate to answer any queries promptly as well as make you feel under control at all times. Review: Absolutely no complaints. In fact it was the best property buying/selling experience of my life. OK, so the transaction was simple: a cash buyer of a flat that would be vacated by the tenant at the end of the month (July 2018). But I live on the South coast (of the UK) and the flat was in Edinburgh, so it was all email and registered post. But I have been involved in similar 'simple' deals before, and it always takes longer than you might think, with fallow periods when you start believing everyone else has suddenly become ill. But not this time. It went very very smoothly and I was kept will informed of what was going on. The whole conveyancing process took three weeks: need I say more. Thanks Nigel. 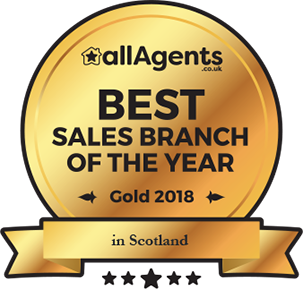 Review: Once again Boyds provided fantastic service, used Elaine several times and its like I am her only client - as soon as I send you an email I get an almost instant reply without fail! Used them several times would recommend! Review: Very professional and efficient service I received from Kelly & Elaine @ Boyd. There hard work and professionalism meant that we met the deadline smoothly - and they took everything in their stride. I would absolutely recommend Boyd. Fantastic Service. Thank you. I hope you enjoyed the champagne! 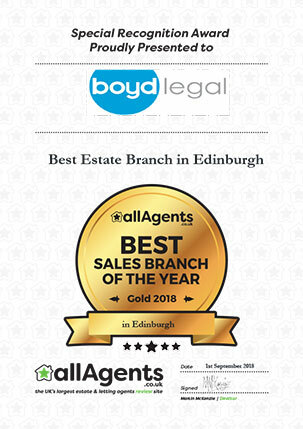 5 Stars, 26 July, 2018, Edinburgh house buyer. Review: Kerry has guided us through the sale of two properties and the purchase of one over the past year. Throughout she has provided great advice and guidance and has been really quick to respond. We would actively recommend using Boyd. Many thanks to Kerry and the team. Review: As a first time buyer from the start to finish the process would flawless. Elaine helped us to understand every part of the process and made the buy as easy as possible. Review: Great service would not hesitate to recommend . Provided good timely advice when buying and selling. They were very supportive especially when selling. 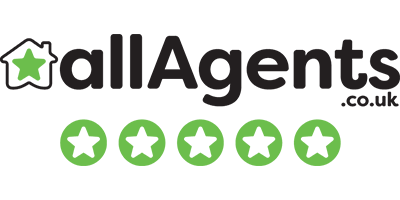 Review: We were tenants for nearly 7 years, Fiona was our agent the entire time. Any queries were dealt with promptly, she was always happy to help. Nothing bad to say, was a pleasure dealing with Fiona and Boyd. Highly recommend. Review: As a tenant, I have found all communications with Fiona to be an absolute pleasure and she is always very quick to respond and act on any issues. Review: Luisa was exceptionally helpful throughout the process.. The company handled all matters in a professional and quick manner. I am very pleased with the outcome. Review: Great people, quick to respond and ahead of the market in many areas. Would highly recommend to anyone who is looking to sell or rent. Well done Boyd! Review: Both Kerry and Luisa were most helpful in my recent sale/purchase. Keeping me updated at all times and fully informed. Kerry kept me right in the procedure of sale and purchase phoning me back immediately with any queries I had. Luisa kept me posted straight away with feedback on house viewings. Both ladies are very personable and easy to work with. Review: We had a positive experience selling our home. Kerry and team were very quick to respond to any query we had which is great when you are dealing with what can be a stressful affair. Valuation range was accurate and we accepted an offer on our home within 5 weeks. Review: We live in the South of England and were selling a property in Edinburgh from long distance. Kerry and her team took care of all the viewings and were fantastic about communicating with us at all times. If we needed information she always went above and beyond what was strictly her job as an estate agent. Fab! Review: I have been very pleased by the excellent and highly professional service provided by Boyd's in the sale of my mother's property. 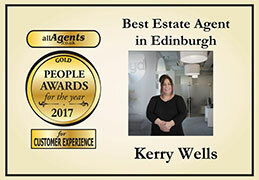 I dealt mainly with Kerry Wells, who was very helpful, friendly and informative and everything you would wish a selling agent to be. Her communication was responsive and clear and extremely helpful and she was prepared to go the extra mile to ensure that the process went smoothly. I was delighted with the photographs and the schedule and I could see the time and effort that Kerry put into contacting viewers and seeking their feedback. The final stages of the process were handled by Leeanna Edwards who I also found to be very helpful. The end result was a prompt sale and stress-free experience. Review: Kerry has been extremely suportive in managing my sale and has assisted with all my questions in a highly professional manner. She makes herself available at all hours and nothing is too much trouble for her. Can't thank her enough! Review: We have just used boyd legal to sell our flat and Kerry was just amazing from start to finish, Kerry is very professional at her job and kept us in the loop every step of the way.I am self employed which makes mortgages not that easy but Kerry set us up with her mortgage adviser nick and we just can't fault them.I would 100% recommend Kerry to anyone great service.thanks again. Alan&Angela. Review: We have received personal and friendly service from both Kerry and Elaine and we would not hesitate to recommend Boyds. Our house purchase has proceeded very smoothly. Review: Very impressed with the professional and efficient service provided during the sale of our property. Kerry was very helpful and quick to respond to any queries that we had. Review: I used Boyd Legal for estate agency and conveyancing in a recent house move. Kerry Wells (estate agent) came to visit my flat, provided a desktop estimate of value and recommended a few small alterations to help maximise interest. Boyd arranged for a very competent photographer to take the pictures for the online advert and brochure. The house sold within 2 weeks of the listing well above home report value. 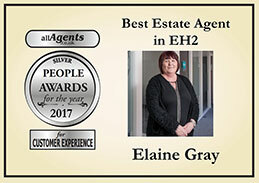 Elaine Gray provided conveyance services on my house move. She kept me up to date on progress and helped ensure the sale and purchase took place on the same day. 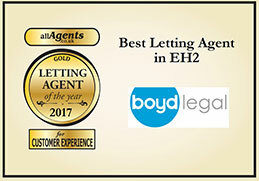 Would highly recommend Boyd Legal as an estate agency and property law firm and I will certainly be using their services again in any future transactions. Review: Kerry was very dedicated and an excellent communicator. The staff all seemed to work together really well to provide an effective, considered service. We had a tenant in place as the house was in the market and Boyd worked well to keep everyone happy. We were also selling from a distance and we felt kept in the loop at all times. Review: Kerry came recommended to us via a friend and I have to say, the personal touch she added throughout our sale and purchase was second to none. Leeanna too was prompt and professional with a personal touch. They both feel like friends, and we'd be sure to use them again, which speaks volumes. Review: We found both members of staff we were in contact with to be informative and easy to contact. The buying process was made easier by both and we felt we could always ask questions.